Los Angeles, April 2: The suspect in the murder of American Rapper Ermias Davidson Ashedom, popularly known by his stage name Nipsey Hussle, has been identified as Eric Holder by the Los Angeles Police Department. 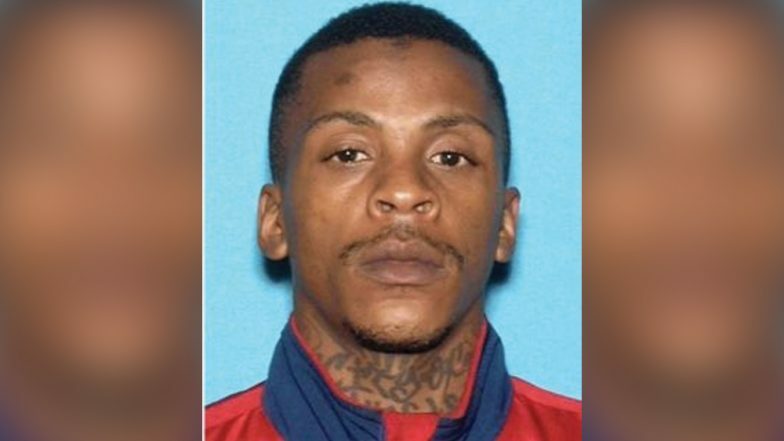 "Eric Holder is wanted for Homicide in the shooting of Nipsey Hussle," the Los Angeles Police Department said in a tweet releasing his picture. The suspect was last seen in a 2016 white 4 door Chevy Cruze CA license plate 7RJD742, the police said. Nipsey Hussle was shot multiple times outside his store situated in Hyde Park neighbourhood, Los Angeles. "Anyone with information related to his whereabouts or this deadly shooting is urged to contact South Bureau Homicide at 323-786-5100," the police said. Eric Holder is believed to be associated with a gang, however, the motive for Hussle’s murder was personal and not gang-related, reports said. On Sunday, Hussle tweeted an ominous message about his enemies. “Having strong enemies is a blessing,” he wrote. He was killed outside the Marathon Clothing Company, which he opened in 2017. The rapper’s sudden and tragic death left everyone in a state of shock. Fellow artists including Drake, Rihanna, Michael B. Jordan, Pharrell Williams, and Jada Pinkett Smith, among many others, took to their social media accounts to mourn the loss of the artist. After releasing multiple mixtapes, Hussle released his first official album, 'Victory Lap' last year, for which was nominated for best rap album at the Grammy Awards. He has a child with American actor Lauren London.